As important as Marseille is for France, as little does it feel like your average French city. The influences of being the trading centre for centuries long are all around and Marseille could easily be forgiven for an Arabic city. While the city may have little to offer at first sight, it will definitely surprise you after some digging! Le Vieux Port – the old harbor – is definitely the most famous attraction of Marseille. Imagine a lot of sailboats, the ocassional fisherman on the side of the dock and little urban renewal. 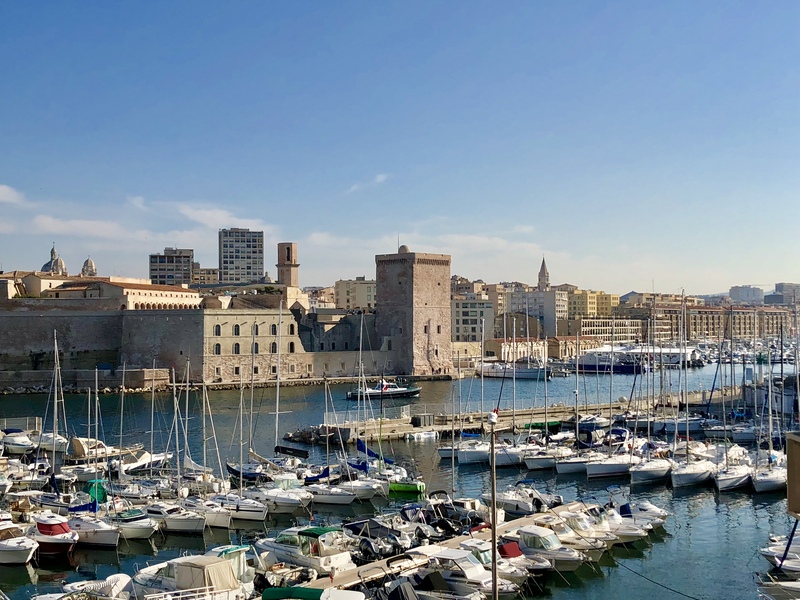 The well-kept fortress walls surrounding the old harbor amplify Marseille’s profound history even more. And while walking along the docks, I immediately start daydreaming about how the old harbor must have been like in its heyday..
Who doesn’t love a city with a beach? 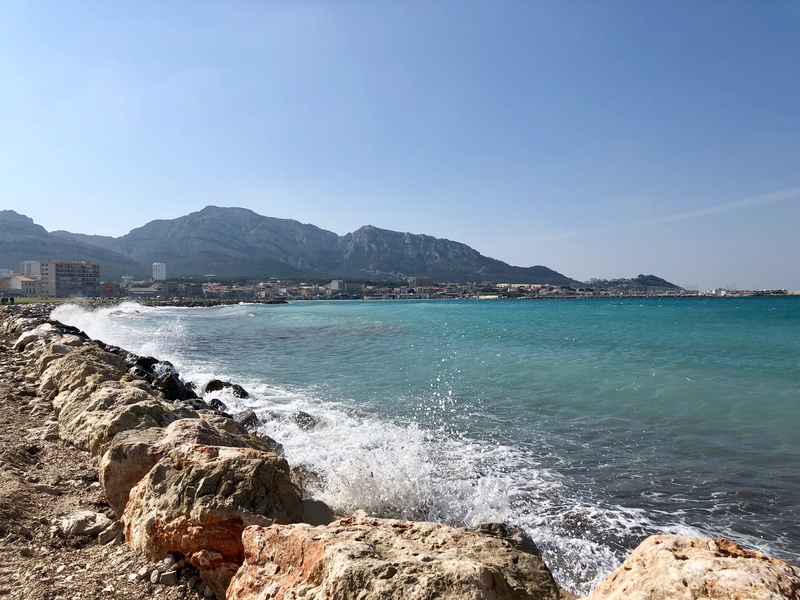 Only a few hundred meters south of Marseille’s old harbor the Mediterrean coastline emerges. While cruising the coast road you will be amazed with beautiful views of the open sea and distant mountains. Only here I can start to feel the French surf vibe I’ve always loved; kitesurfers go back and forth, families are enjoying the sun and crêpes are being served on the terraces. Marseille’s beach is the place to go to for a relaxed sunday afternoon in this big French city. 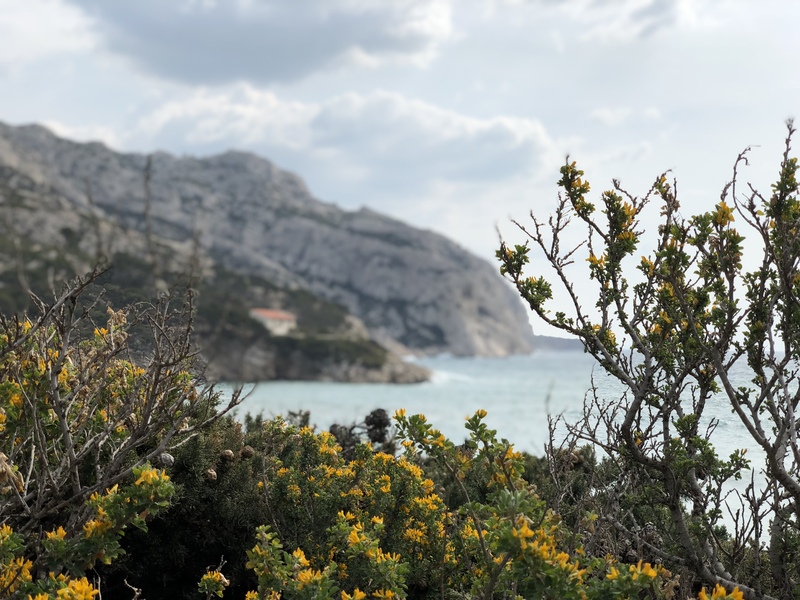 Marseille is the perfect home base when visiting the Calanques National Park. Along the Mediterranean coast, the most beautiful steep-walled valleys formed by limestone – called calanqunes – are located. The contrast of the blue water and white limestone mountains make up for a splendid sight! From Marseille to Cassis, in a range of 20 km, there are plenty of calanques to fall in love with; all just as impressive and as beautiful! Marseille and criminality are often mentioned in the same breath. Not only the northern suburbs but also the old harbor is notorious for its danger. During our stay we had no troubles at all – though we were a bit cautious in the evenings. Still, because of its great location, I’d recommend residing in the Vieux Port area when going to Marseille. 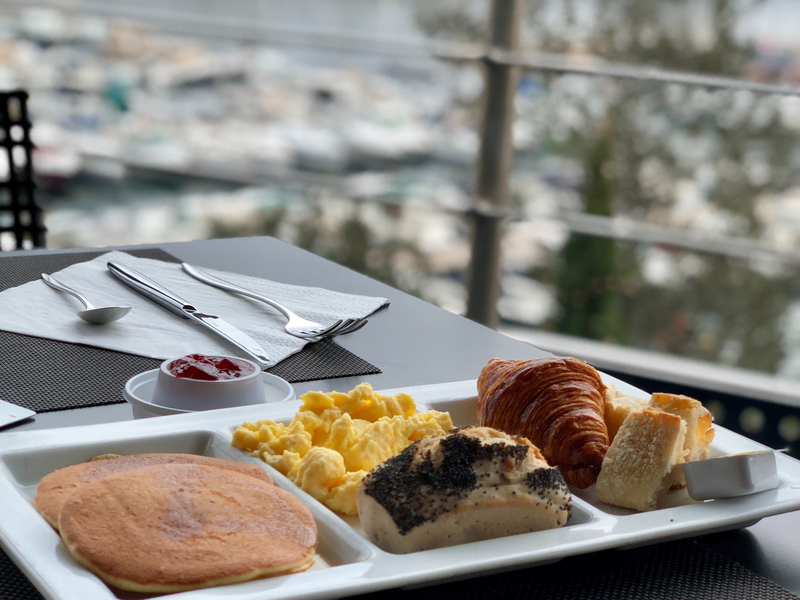 There are plenty of hotels to choose from; one of them being the Novotel Vieux Port, where you can expect friendly staff, decent rooms and an outstanding terrace (plus breakfast! ).